Struggling search giant Yahoo has today announced that it will roll out its own Do Not Track (DNT) service across its global network by ‘early summer’, allowing users to opt-out of its ad-targeting features across its portfolio of websites. Yahoo! has been a leader in the DNT discussion and has a proven history of providing enhanced transparency and heightened control to its users. 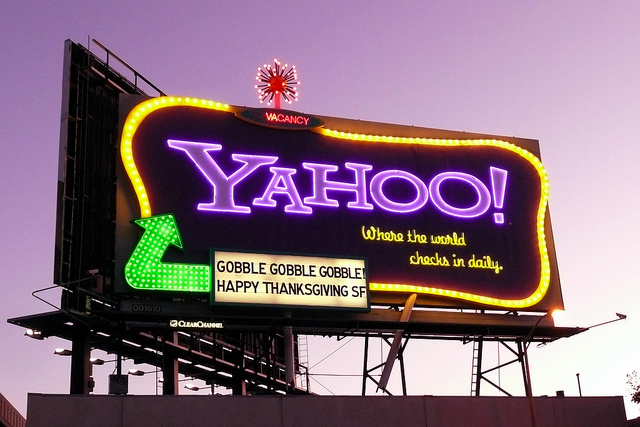 This implementation continues our leadership in user privacy where Yahoo! was among the first to launch an Ad Interest Manager three years ago and the industry AdChoices Icon program two years ago. With this new feature, Yahoo! continues its leadership in privacy innovation while continuing to create the free online services consumers demand that are made possible through advertising. The move comes after the US Federal Trade Commission (FTC) began pressuring Internet companies to implement a “Do Not Track” system that would give consumers more control over their personal data online, requesting its implementation in its “final commission report”, released on Monday. The FTC also called on Congress to pass new privacy legislation that would allow consumers to see how their online data is collected, something that Google rolled out with its Account Activity dashboard yesterday.